XylosmaEvergreen shrub. Moderate growth rate. Informally mounded form with irregularly arching branc.. 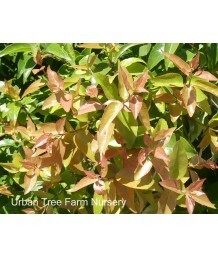 Compact XylosmaEvergreen shrub. Slow growing. Informally mounded form with irregularly arching branc.. 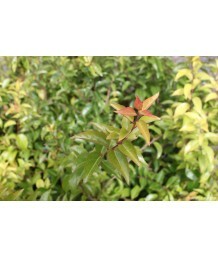 Compact XylosmaEvergreen shrub. Slow growing and bushy with broad green leaves . Likes acidic soil. ..